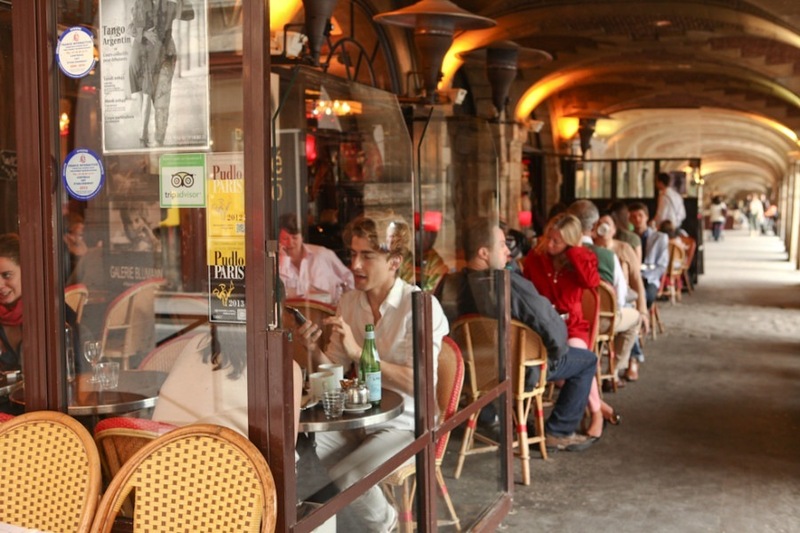 The Marais, which spans the 3rd and 4th arrondissements, is far from a homogenous bloc, but a collection of neighbourhoods with their own character. The eastern part of the 4th arrondissement – that is, the ‘lower’ part of the Marais, with its feet still firmly on the rive droit, before you hit the Seine and the Ile-Saint-Louis – has certainly had its ups and downs, although you might not guess it from the chic boutiques, bars and restaurants that now line its street. Behind these upscale façades, the history of the area takes you on a round trip of Paris’s swings and roundabouts. Originally outside the city limits and home to one of the region’s biggest cemeteries, the neighbourhood really had its moment to shine in the 14th century when the royal court took up residence there. Charles V even went so far as to buy up a block of hotel particuliers, which became Hôtel Saint-Pol, in what may have been one of the earliest examples of gentrification. 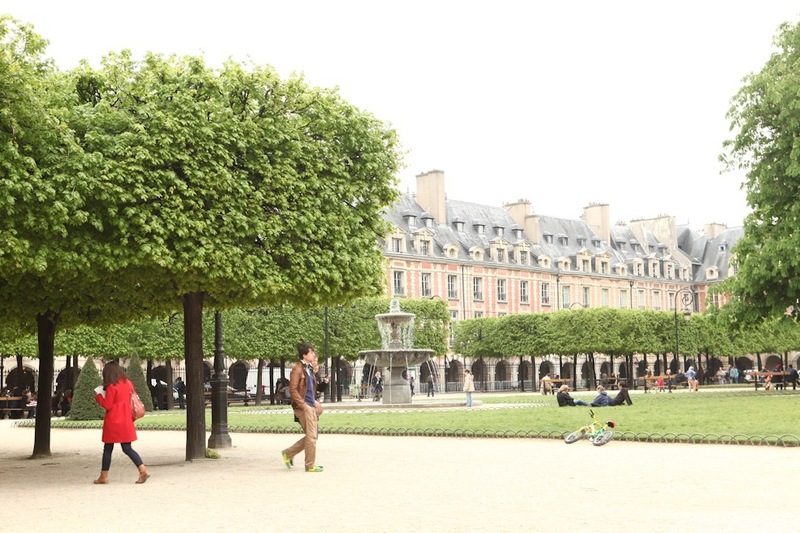 Place des Vosges – one of many people’s favourite spots in Paris – is more evidence of the royal touch in the area; the Place Royale, as it was originally known, was constructed by Henry IV in 1605. The central park is named Square Louis XIII as it was inaugurated during Louis’s engagement celebrations with Anne of Austria. You’ll notice the buildings lining the elegant place are mostly uniform in appearance, except for two which have higher roofs (one arching over the street underneath): these are the king and queen’s pavilions. Even after the royals departed, the Place des Vosges apartments have been home to several notable residents including Victor Hugo and Dominique Strauss-Kahn. For centuries the neighbourhood had been home to a Jewish population, which grew rapidly as people fled Russia, Germany and Poland in the late 19th and early 20th, centuries. 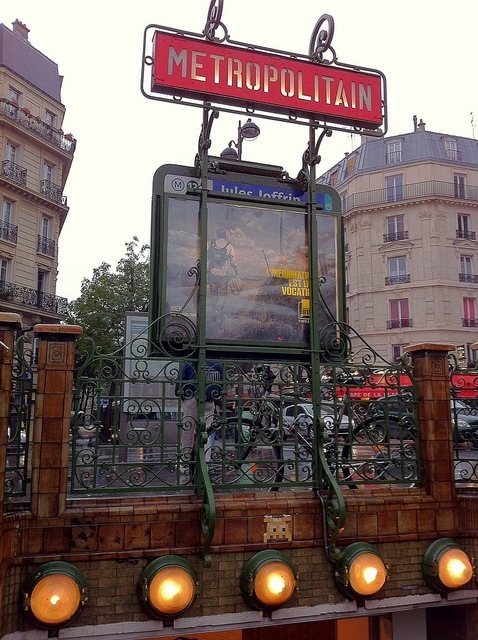 The Place Saint Paul was colloquially called ‘Place des Juifs’ at this time, and the whole area as the pletzl – (little place in Yiddish). You can still see the traces of this important part of the quartier’s history on streets such as Rue des Rosiers (home of the famous L’as du Fellafel kebab shop and Sacha Finkelsztajn bakery). 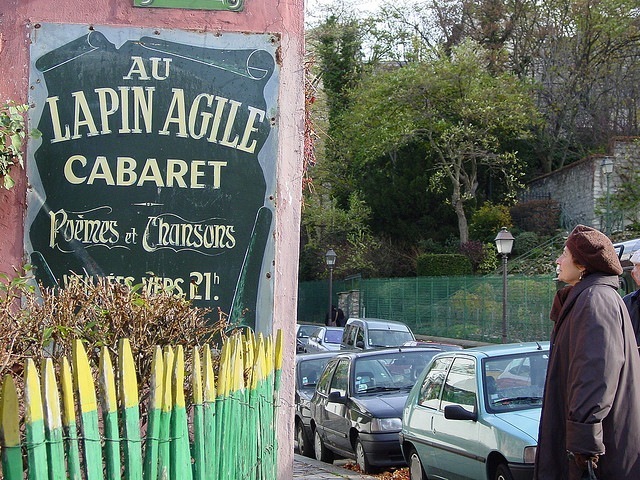 The Marais is also one of the only areas of central Paris to have escaped Napoleon III and Baron Haussmann’s city-wide urban regeneration in the late 19th century, which accounts for its labyrinth of narrow streets. After WWII, apart from the stately areas around Place des Vosges, many of the former hôtel particuliers in the Marais fell into disrepair. In the 1980s, the gay and lesbian population moved in – seizing on the lower property prices and central location to establish what is now the city’s most entrenched gay district. 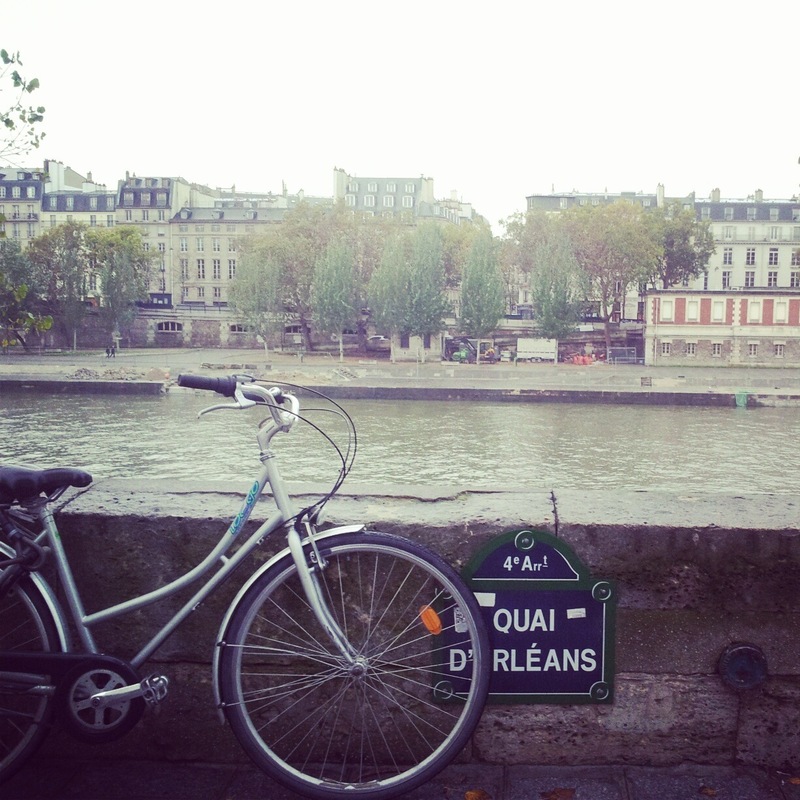 In many ways the central quartier is the geographic heart and soul of Paris – a city without a proper ‘downtown’. The lower Marais today might feel a long way from those down and out days of the 80s, but the patina of the neighbourhood unites the chapters of its chequered history into one juicy anthology. Wandering around hidden pockets such as the cloistered courtyards in the Village Saint Paul (a series of connected internal spaces lined with small antique stores and design stores) it feels like the patchwork past is still alive. The best thing way to explore the lower Marais is to get lost – stroll along the quays of the Seine, discover passages and courtyards and meander through the maze of medieval streets – you know you’ll always find something you’ve never seen before.